Pantene Shampoo Sale! - Triple Joys!!! Went to the Supermarket at SM Manila earlier today and I was so happy to see one of my favorite shampoo brand on sale! 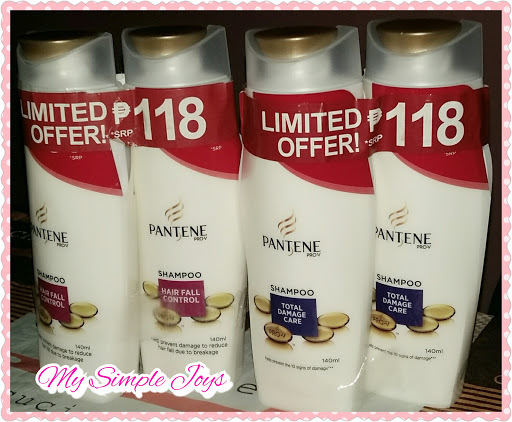 2 140 ml Pantene for only P118.00! Surely a great buy! Bought two sets of the shampoo in different variants - the Hair Fall Control & Total Damage Care!